In a large pitcher, combine all ingredients. Allow to mull overnight to develop flavors. 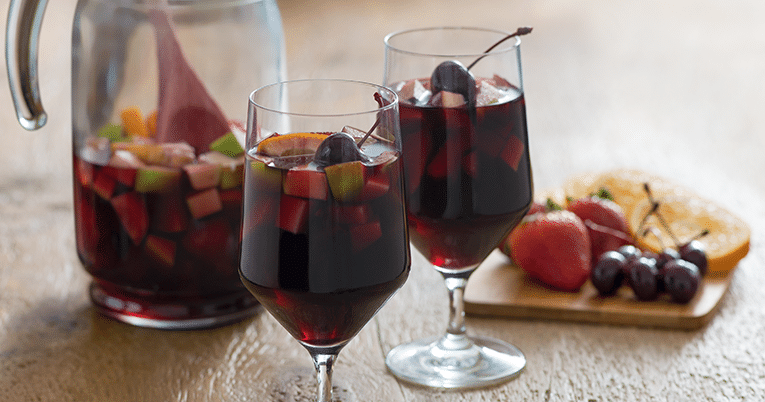 Ladel fruit and wine into a large wine glass and serve chilled.